This entry was posted on Wednesday, August 7th, 2013 at 12:53 pm and is filed under Earthling: 1997. You can follow any responses to this entry through the RSS 2.0 feed. Both comments and pings are currently closed. I’d heard that Bowie was “going techno” on his new album, which honestly, on the heels of the very disappointing “Outside” did little to put the wind in my sails. I was non-plussed. In fact, I avoided the album until the week before going to see Bowie at the Chili Pepper nightclub in Ft. Lauderdale. Since we had tickets for the club date [I still can’t believe it happened] I thought I might as well give the new album a try. I popped it in and like most techno, it immediately caused me to become tense and very uncomfortable. I played it once, made a tape for the trip in the car, and didn’t play it again. We saw the Bowie show at the Chili Pepper. Night two, which meant we saw the longest Bowie concert ever given. 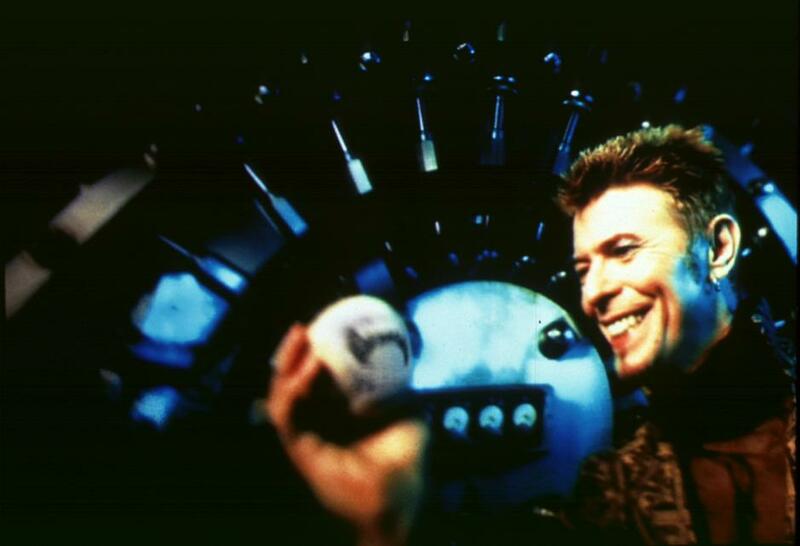 In a club holding a thousand with Bowie about 60 feet away having the time of his life with a killer band behind him. When I woke up the next day in our Ft. Lauderdale kitschy seaside vintage motel room, I had those songs, “Little Wonder” in particular, coursing through my mind. After returning to normality the following week, I played the tape of “Earthling” non-stop. It had seeped in via the most virulent vector of infection. After hearing it live, I finally “got” Earthling,” and its rock/drum+bass hybrid vibe finally crossed the line and worked for me. Like a fiend. A week later I loved the album as it had a fantastic sound, even if much of it didn’t amount to much, consciously. Wow – I envy you that gig my friend. twinkle-twinkle – That’s understandable. Sometimes I envy myself with gigs like that one! That’s a show I wouldn’t mind re-experiencing again via time-machine. Little Wonder is a fun track, maybe it’s assembled out of a few pieces too many, but Bowie definitely wanted to project energy and innovation – well, I guess that if you’re really young you don’t have to want it, you just do, but Earthling was the last gasp of Bowie’s mid-life crisis. I loved the video, and the Dead Man Walking one. The package as a whole made sense. I agree. I think Tin Machine to Earthling was Bowie’s mid-life crisis. He was rejuvenated by being ‘open’ again, blew off some creative cobwebs and stuck them on a frock coat. Then he decided to write some great songs and make Bowie albums that could stand next to his previous best. Although I’m sensing that is not the way future postings will see it. I think people take this track too seriously. I think much of the scorn comes from the fact that people finally had an axe to strike him with. He’s always been artful, or a faker if you like, borrowing from whatever musical genre he fancied but doing it so well that he got always away with it. His foray into jungle was less successful and somehow that was just the excuse the music press needed to bite his head off. Totally out of proportion but that ’s what you get for being an actor in age where The Sincere Rocker is the highest thing to be. Having said that, I don’t particularly like this track, as a recent convert I really wanted to like this song, but I never did. It has its moments but on the whole it’s probably the weakest one on the album. The fact that the drum loops sounded dated even then doesn’t help either. On the other hand, I ’m sure The Prodigy sound just as dated nowadays, but I always hated them so I have no desire to test that theory myself. And as for Little Wonder itself? Definitely an amusing piece of work. Not one of Bowie’s all-time greatest songs, mind you (its presence on the UK Best Of Bowie comp notwithstanding), but it’s certainly a fun track. I think that the big “so far away” chorus is definitely the best part. At the time, it struck me as weak album filler, not much of a song, and a bad sign for the album. I’ve come to the conclusion I hate Reeves Gabrels. I’ve never heard a more boring guitarist constantly sucking life and energy out of songs. It’s not the fact that he’s avant-garde or unconventional, more that he’s really, really lousy, even when judged by those standards. Appreciating him is all intellectual-justification and chin-stroking. There is not one single iconic guitar moment in any of the songs he’s involved in. Something tells me he’d be perfectly happy with that assessment! I’m glad someone had the balls to say that as I likewise don’t have a scooby in what Bowie heard in him. Nice to see a reference to the Chili Pepper show. For the rest of my life this Miamian will regrete missing the concert because of a night class. 3. What was taboo in 1990 had apparently become acceptable by 1996. The “deliberately forgotten” was apparently now “compelling” again, or at least amusing. 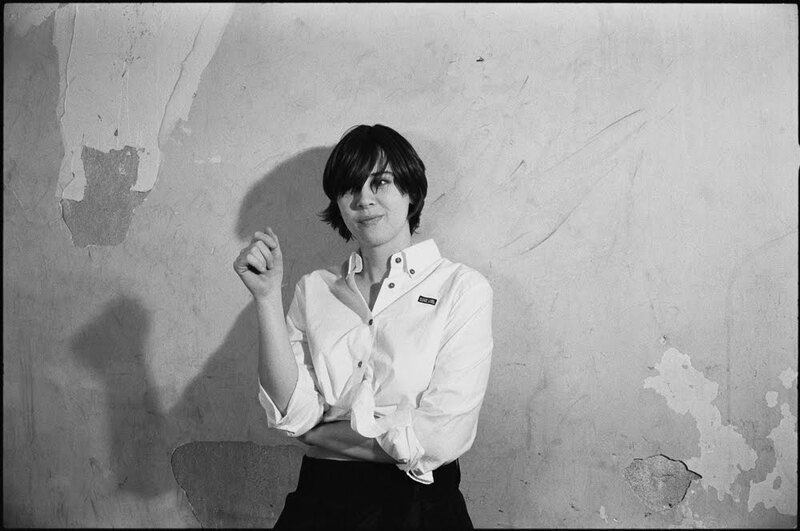 This was partly because Britpop artists were going back to the 1960s in 1996, whereas in 1990 electronics and futurism had prevailed and the Swinging Sixties were sublimated. 4. 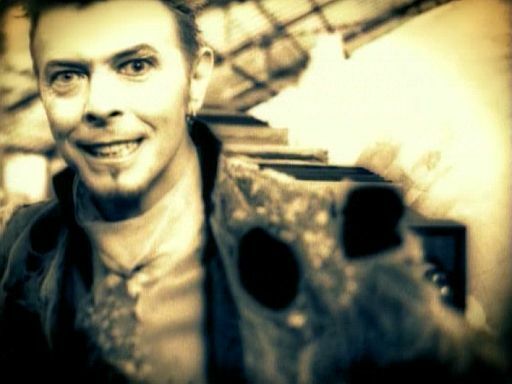 We now have the same embarrassed reaction to the drum’n’bass of 1996 that Bowie seems to have had to his 1967 novelty single in 1990. It feels cheap and tacky to us, it lives in a shadow of ignominy and obloquy. Listening to it — the stolen drum loops, Reeves’ more-is-less squawks, the kitchen-sink sampler hits — we feel somehow compromised, trivialised, as you do after watching a Tommy Steele movie when you really wanted some Tarkovsky. 5. It’s a side-effect of “having no authentic style” that you might, at any given moment, be associated with the currently-least-acceptable style you have ever embraced. To be an artist like David Bowie, in other words, is never to be without some kind of skeleton in the closet. But to be an artist like David Bowie is also to dare to fling the closet doors open from time to time and pronounce a particular skeleton “cool” or “funny” or “suddenly interesting again”. If anyone can do that, you can. Who do? You do, it’s the power of voodoo: you can make skeletons dance. 6. If Little Wonder is fuelled by the residual unacceptability of Bowie’s 1960s vaudevillian period, thus by taboo itself, the Toy album recorded five years later embraces the same period with a mawkish sincerity, and with “classic, timeless” arrangements rather than startling sci-fi-like juxtapositions of genre. Where has the future gone? Where has the present gone, for that matter? There’s only the past now: retromania. And the rock magazines are all about geriatrics. Yesterday dwarfs us all. Ever considered teaching a course on how to conduct research? For a long time I’ve pictured your home as a mass of stacks and piles of papers, books. notebooks and loose scraps, with perhaps a couple of crowded bulletin boards and chalk boards. And whomever you might live with as a model of endurance while you turn the place upside-down looking for a note you scribbled on the back of an envelope last month. the chorus is really fantastic with those offset guitar tones in the back. the rest seems a little overblown. Fantastic, healthy & juicy !!!! Bowie’s latest “Youth Manifesto”….the kind of stuff that makes me feel nostalgic. I liked the album at the time, but now it stands as the last time he was engaging with the present rather than the past. ‘The Next Day’, good as it is, is a ‘Bowie’ album, not a Bowie album. Despite ‘Set the World on Fire’, I’d say TND is a true bona fide 100% Bowie album and a work of genius. It does not merely look at his musical past in a superficial way, but cleverly uses his full range of skills and sounds for very specific purposes. It’s not simply a ‘here’s a bit of ’72, here’s a bit of soul, now let’s nod to ‘Lodger’ and Berlin.’I believe it’s the most deeply layered emotionally affecting album of his career. I thought ‘Dancing Out in Space’ was slight and pointless till the penny dropped, I now think it’s the pivotal – in more ways than one – track on the album. One day I’ll finish explaining why (See my drafts folder. Oh – you can’t, lol). I might add “Boss of Me” to your list of questionables, but I agree with your general assessment of TND. Moments that I initially regarded as brash or goofy now sound incredibly emotional, especially Valentine’s Day. There’s definitely some gallows humor on the album, for sure, but it’s also soaked in sincere feelings of tragedy, absurdity, despondency, etc. I admit that tapping these deeper emotions gives the album more of an ennervating effect than it used to, but the songs now sound less like random novelties. After my previous post, I now don’t know whether I’m answering as Me, Twinkle, Sailor or some imaginary character, lol. I don’t envy Chris his publishing deadline and TND suddenly appearing out of the blue. Never mind a chapter, I think TND could easily fill a book, rather like the Berlin period. Although I wasn’t keen initially – I still think he should have broken up the lyric after the false ending – I now like ‘Boss of Me’. Musically I think it references three other songs and has a deceptively simple lyric, rich in possible readings. As for your restraint when spotting Bowie and Lou Reed at an Antony and the Johnsons gig, very admirable. I think I’d have been crawling under legs, or leaping over chairs, ha-ha-ha! I like this one, but it goes on too long (well the album version does). My usual complaint with this album. Caitlan Moron can re-enact the mountaintop dance from “The Sound Of Music” underneath some whirring helicopter blades as far as I’m concerned. And what has that flash-in-the-pan Keith whatshisname from The Prodigy done since “The Fat Of The Land” exactly?? The true signifier of talent is longevity. Caitlin Moron – nice touch Spider – isn’t really someone you need take seriously. She’s a self-satisfied, solipsistic hack who loves to hop aboard a bandwagon. Caitlin now has her tongue so far up Bowie’s arse she can taste his ear wax, but I doubt it’ll get her the exclusive interview she craves. By that standard, Crosby Stills & Nash and Cliff Richard >> Talking Heads and Alex Chilton. Cliff Richard died years ago, they just haven’t told him. I think we all know what Spider meant by longevity – still having artistic relevance in their later years and/or being an artistic touchstone to future generations. The Prodigy were a cartoon threat even in the midst of their one real hit ‘Firestarter’. By the time ‘Fat of the Land’ came out their star had waned. They now almost seem like one hit wonders. I can’t put my finger on why, but The Next Day seems to have some sort of quality about it that transcends all necessity to compare it to earlier DB eras. That’s my feeling anyway. On Little Wonder, I’m a little bit ambivalent about it, and i really wish i knew nothing about the Seven Dwarves connection. Or that Bowie had expunged all overt references to them from the final lyric. It just ruins the feeling of the song for me. I totally agree with your comment about TND. I was surprised to read the negative review from Caitlan Moran as nowadays she gushes over everything Bowie. Perhaps hitting 40 has given her some perspective. Aside from the jungle/industrial fusion, I have long thought of Little Wonder as Bowie’s version of Underworld’s Born Slippy (maybe a working title was “Born Sleepy et al.?). Those keys are quite similar, and both have a sing/speak style with plenty of repetition in the lyrics. And as Chris and Momus have shown, a 60’s connection is appropriate, with all this talk of gnomes and karma and mars happy nations. Here is yet another example of Bowie starting to look back, even when cribbing from contemporary sounds. In 1995, he was obsessed with what was happening Now, not tomorrow or yesterday. Outside was a album locked onto the 90’s; even his Scott Walker fantasy project was an attempt to bring his friends sound into the present. So it’s with Earthling, and his 50th birthday that loomed at the time, where the seeds of Hours, Toy, and Heathen are sown. It seems as if he, like so many former fans who were ragging on him at the time, saw himself as an old fish swimming mischievously in waters that were supposed to be off limits to him. Even as he was basking in the excitement of the project, he was turning inward like never before. 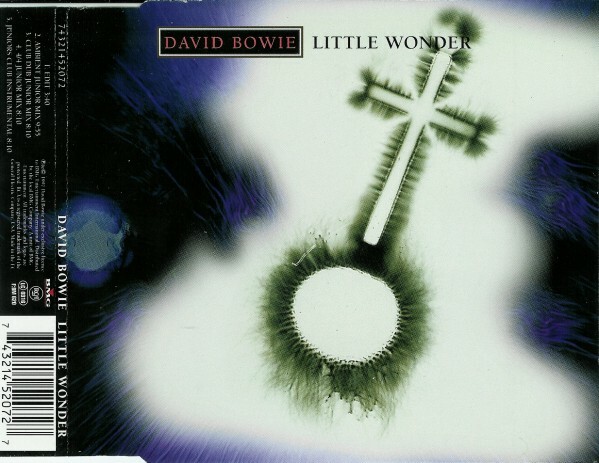 Little Wonder was the first lead-off single released by Bowie since I had become a proper fan and I remember being fairly disappointed and slightly embarrassed by it, probably because the “so far away” bridge sounded exactly like Babylon Zoo. “Spell Breaks With The Weather”, David Torn’s 1996 “What means solid, traveller?”… makes me think about “Little Wonder” with its repeated guitar loop; great stuff anyway!!!! Vive David Torn!!! The ‘so far away’ section of this song serves as the top slice of bread in a Bowie self-reference sandwich. The filling being Buddha of Suburbia which uses much the same chord progression(and at the same point of the song). Then in turn Buddha reuses the ‘zane zane zane’ refrain from ‘all the madmen’. I like the song but think there are much stronger tracks on Earthling. I used to skip it quite often just to avoid the clattering of the jungle fill. Like with the tolling clock bells on Pink Floyd’s ‘Time’, sometimes my ears are just too delicate for that intro, but the song rewards the patient with plentiful hooks and dumb-genius lyrics. As for the song, to my ear it lacks genious, but still works –and not dated, excepted in terms of Bowie own timing. ok, the first 35 sec of the intro are dated. Not a favorite of mine by any measure. I think I was on my way to becoming a full fledged Bowie fan in the mid/late 90’s because I loved IAOA and liked Hallo Spaceboy (and was a big NIN fan), not to mention the rest of the popular Clasic Bowie catalogue, but this song kind of scared me off, though thankfully not for good. I still mistake it for a Prodigy song whenever it comes on, a group I had no interest in with a sound (jungle, blegh) I loathed. Video was pretty cool though.